Back for more and better than ever, the new Arai Quantum-X Helmet stands as the latest entry to the game from one of the most premium motorcycle helmet manufacturers in the world. 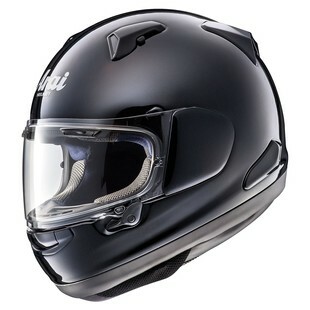 As the go-to helmet for riders with a notably round head shape, the Arai Quantum has been hugely popular for a number of years. With the Quantum-X, Arai has brought one of the pillars of their world-class lineups to 2016. Including all-world features such as a VAS Shield system, plush Eco Pure liner, and a Peripherally Belted - Super Complex Laminate Construction outer shell, the Quantum X helmet is everything that its predecessor was noted for, and more. Additional features of the Arai Quantum X include a variable axis system of shield and side pods, VAS Max Vision face shield with Pinlock insert, and both Snell 2015 and DOT approval. New to the roads, but with a pedigree built on many years of excellence, the Arai Quantum X Helmet is new for 2016.